Sequels are harder than they look. Though launched to the usual glowing reviews, Europa Universalis 3 is going to be a divisive game. You can see it on the official forums. You can see it on the blog of one of Paradox’s biggest fans. And you read it here first many months ago. Some people will miss their history. My review is in ye olde print a few months hence, so I’ll just say that I like EU3, in spite of the ahistorical stuff. It’s new and improved, but with half the flavor. The debate really comes down to a dispute about what the core experience of a Europa Universalis game is. It’s easy to forget that the original Europa Universalis had a half dozen events. Treaty of Tordesillas, the Reformation, Calvinism, the Dutch Revolts, the Council of Trent and the American Revolution. That was it. Most of the historical flavor came from these tiny touches and the presence of historical monarchs, leaders and nations. The core experience was to play act through history on a stage with the director giving minimal instruction. It was the second EU that really turned up the historical heat. Historical events, many with multiple outcomes, gave you a guided tour through the era from 1419 to 1820. It was like a textbook come to life, only actually interesting. Since EU2 came out so soon after the original game, and was a much better game in a hundred little ways, it became the symbol of what the franchise is all about. The history was no longer a background, it could interfere with your plans in very important ways. Inevitably, you could schedule around it – not wasting money on a manufactury, for example, because you know you get one for free in ten years time. Identifying what is central to your franchise design is not just a matter of knowing what the game is about. If someone asked me to describe Civilization in a hundred words or less, I would talk about the tech tree and the epic span and the enemy nations. I almost certainly wouldn’t mention the word “tile”, even though Soren Johnson has said that recognizing that Civ is tile-based as much as it is turn-based is one of the keys to understanding how the game works. The Age of Empires franchise hasn’t revisited a setting once, but you can see that the core experience is herding your villagers and killing the other guy’s villagers. The core AoE experience is, therefore, not about swords and pikes and muskets except insofar as the game is supposed to be historical. So what is Europa Universalis? 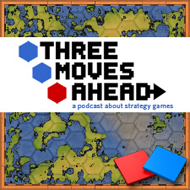 Is EU3 an alternate path from the first game or a betrayal of the second? Freely opine below. Paradox seem to have taken EU3 down the route they chose for Crusader Kings, with greater latitude for the game to react to your choices rather than to play out to history. It’s an interesting decision given the fact that EU2 sports the popular AGCEEP mod for those people who believe EU2 stinted on the history. Perhaps they’re banking that the less restrictive approach will entice a broader section of strategy gamers and that those who want the grand tour of history will probably buy the game anyway, and wait for AGCEEP to be updated. The terrain map isn’t very good, but I don’t mind the other ones. I spend most of my time on the diplomatic or political map, so the hideous trees and rivers are gone. EU has never been an attractive series, and there is a little bit of style to the rest of the game, terrain map aside. I somehow doubt that a broader section of strategy gamers is the goal here. If it were, they could have made another World War II game or maybe some fantasy strategy game – the EU series is as popular as a Paradox game without tanks can possible be. They are doing a lot more marketing this time around, though, so it will almost certainly be more successful. I don’t think design decisions play much of a role there. I think your comments on Broken Toys on how the event system should have worked make a lot of sense. I’ve never been a fan of the historical event system, as IMO it is far too disjoint from the usually skewed reality of the game – game-driven events is by far the neater system, IMO. EU2 was a step back, IMO, from what EU could have been. A pity it seems they still haven’t found the “sweet spot”. As usual, though, it probably won’t be until 5-6 months down the road, that we can see where this Paradox game is heading. Yeah, but Crusader Kings had the whole semi-role-playing factor, didn’t it? But that’s nowhere in CK.